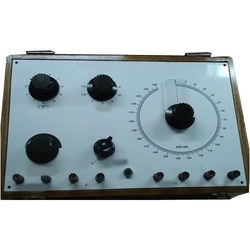 Pioneers in the industry, we offer portable wheatstone bridge, crompton potentiometer, kelvin double bridge, electro convulsiometer, million meg ohm meter and sensor trainer(7 sensor) from India. 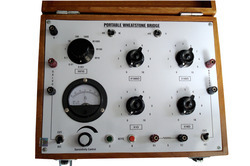 We are engaged in manufacturing and supplying a wide range of Portable Wheatstone Bridge. We are providing Crompton Potentiometer to our clients. To fulfill the diversified demands of our clients, we offer these products at budget friendly prices. Owing to a modernized infrastructure for trouble-free processing & post-production, we are instrumental in offering Kelvin Double Bridge that is suitable for very low resistance measurements. Our offered instrument is manufactured with by our skilled professionals using premium quality components and the latest techniques in compliance with set industry standards. Clients can avail this kelvin double bridge from us at the most reasonable rates. BIS : 2026 (Part II) - Temp. Rise test for transformers. Four Terminals method and kelvin Principle for eliminating contact and lead resistance. Properly aged manganin wire resistance used. Current switch with reverse facility eliminates thermal e.m.f. 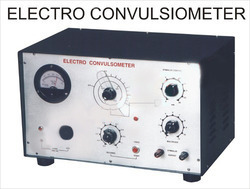 We are efficiently providing technically advanced Electro Convulsiometer to our customers. Our Electro Convulsiometer is ideal top use for applying maximal electro-shock through corneal electrodes. 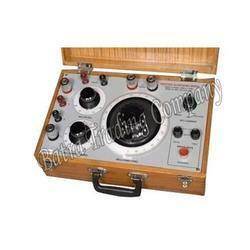 Known in the industry as a reliable manufacturer and supplier, we are engaged in offering Million Meg Ohm Meter. Unmatched in quality, these meters are designed and developed under the guidance of skilled professionals, who are well-versed in this domain. Moreover, the offered meter can be availed in different specifications. 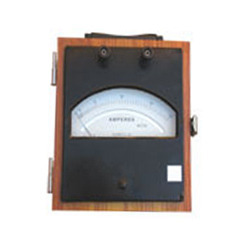 Meter: Dual Range 0-600 V DC and resistance measurement range 0 to 100 (Logarithmic scale) Meter movement is of Moving Coil type, central magnetic core to avoid any stray magnetic field effect. Repeatability: All components are of best quality and procured from reputed manufacturers. 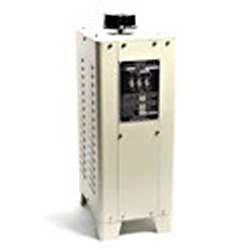 Design for power supply is rugged and provided with excellent regulation (Line and Load regulations are better than 0.1%) and is short circuit protected. Special quality moving coil type, central magnetic core meters are best possible meters which will give error free measurements for years. Specially designed very high insulation washers make it stable infinity even under high humidity. It provides stable reading to high accuracy years after years. Mains operated 220 V A.C., 50 Hz. supply is required. BTC MM 123 - Same range as above but provided with digital display for test voltage. BTC MM 124 - Same as BTC MM 112 but provided with higher voltage. Range provided : 1 Megohm to 1 x 108 Megohms. 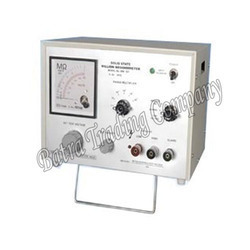 Voltage range : 400 V to 1000 V.
Galvanometer is an electromechanical instrument for detecting and measuring electric current. The most common use of galvanometers was as analog measuring instruments, called ammeters, used to measure the direct current (flow of electric charge) through an electric circuit. A galvanometer works as an actuator, by producing a rotary deflection (of a "pointer"), in response to electric current flowing through a coil in a constant magnetic field. Ac Squirrel Cage Motor With Star Delta Starter And Triple Pole Iron Clad Switch Fuse. Thyristor / I G B T Controlled D.C. Motor Drive With Tacho - Generator Feedback Arrangement. 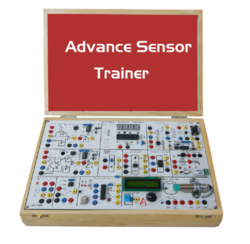 Looking for ITI Electrical Lab Instruments ?